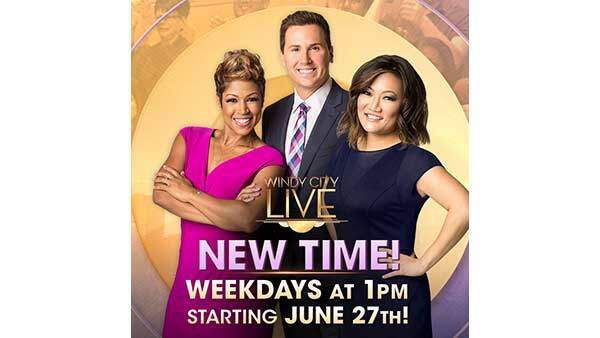 "Windy City LIVE" has moved! WCL can now be seen each weekday at 1pm on ABC7 Chicago. Join Val, Ryan and Ji for all the fun you love now at 1pm. The midnight re-broadcast of "Windy City LIVE" is going away temporarily, but returns on Monday, September 12, 2016.